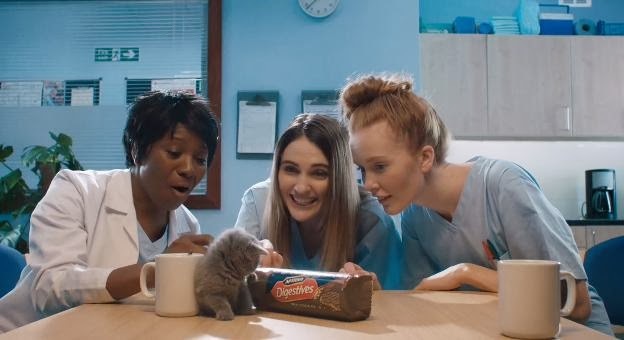 Introducing McVitie's Sweeet: crumbly cuddles, choclately snuggles and zesty mischievousness. In a nutshell: it features nine Pembroke Corgi puppies, nine British Shorthair kittens and one big-eyed tarsier all climbing out of biscuit packets. It’s appropriately cute, and based on the comments we’ve been getting on Twitter since it broke on TV last night, people love it. Shot by award-winning director Owen Trevor, they also feature three Great British feel-good retro TV show theme tunes – Fawlty Towers, Blockbuster and Murder She Wrote.